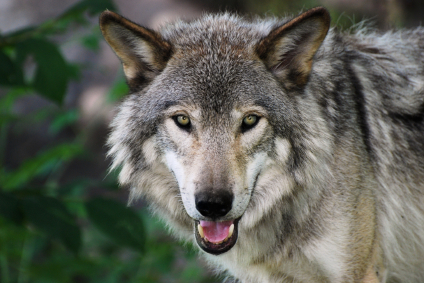 Maine is implementing a new law that requires a wildlife-in-captivity permit for wolf hybrids, and spaying or neutering for any current owners of hybrids. It is legal to own a hybrid in Virginia, but Virginia Code Section 3.2-6582 allows localities to set up permitting systems to regulate such things as how many hybrids a person can own, identification by tags or tattoos, and the keeping and handling of hybrids. Any animal, no matter whether it’s a pure wolf or a Chihuahua or a pug or anything else, depends on the person and how they raise it. It’s the same thing with your kids. If you’re abusive toward your kids, they’re not going to be so good. If you work with them, they’ll be great. I disagree with Doughty. Although I am an avid critic of breed specific legislation, I see wolves and wolf hybrids in a very different light from pit bulls and other dog breeds. No good comes of spreading the rumor that dogs and wolves are one in the same. For many reasons – including for safety, and from a behavior and training perspective – the public needs to be made aware of the fact that dogs are not wolves – and wolves are not dogs. What is your experience with hybrids? Are you for or against a permit system for the ownership of hybrids like Maine has just passed? Categories: Animal Behaviorists and Trainers, Breeders, Media, Pet Owners, Pounds, Animal Control Officers and Law Enforcement, Rescues and Shelters | Tags: breed specific legislation, hybrids, legislation, owner responsibility, pet licensing and registration, zoning and permitting | Permalink.